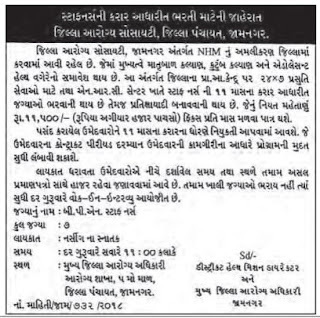 Kendriya Vidyalaya Junagadh has published Advertisement for below mentioned Posts 2018. Other details like age limit, educational qualification, selection process, application fee and how to apply are given below. d) PGT (Physics)–Physics / Electronics/Applied Physics/ Nuclear Physics. f)PGT (Biology) - Botany/ Zoology/ Life Sciences/Bio Sciences/ Genetics/ Micro Biology/Bio Technology/ Molecular Bio/Plant Physiology provided they have studied Botany and Zoology at Graduation level. i) PGT (Commerce) – Master’s Degree in Commerce. However, holder of Degrees of M.Com in Applied/Business Economics shall not be eligible. j)PGT (Economics) – Economics/ Applied Economics/ Business Economics. e) For TGT (Maths) - Bachelor Degree in Maths with any two of the following subjects: Physics, Chemistry, Electronics, Computer Science, Statistics. a) Senior Secondary School Certificate with 50% marks or Intermediate with 50% marks or its equivalent. b) PTC/ B. Ed or Equivalent with Government Institution. 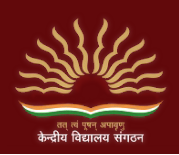 c) Pass in the Central Teacher Eligibility Test (CTET) conducted by the CBSE in accordance with the Guidelines framed by the NCTE for the purpose. d) Competence to teach through Hindi & English media. B.Sc (Comp. Sc. )/BCA/MCA/BE/B.TECH or Graduate with one-year diploma in Computer Science/IT recognized by Govt. or having higher qualifications. Diploma/Degree in Nursing from recognised Institution. MA/M.Sc/M.Com with B.Ed/M.Ed qualification + regular one year post graduate diploma in Guidance & Counseling. Graduation in any subject or equivalent from a recognized University & Minimum One year Training/Diploma/Degree in Yoga from a recognized Institute. ● How to Apply:Interested candidates are requested to remain present along with all original certificates to given address in the advertisement. Venue: B/h. Adarsh Nivasi Shala, Bilkha Road, Junagadh. National Council of Educational Research and Training has issued a notice to invites applications against Store Keeper, Marketing Executive Vacancies of 12 Posts.Candidates with the required eligibility criteria are invited hereby for filling and submitting the application form through offline mode for the current openings on or before the closing date (Within 30 Days). 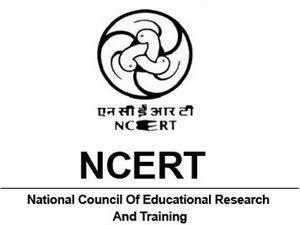 More details related to the NCERT Recruitment 2018 such as education required, age limits, selection process, how to apply etc., are delivered below in the below…. Job applicants, who are applying for above said posts must have completed 12th / Diploma in Store Keeping /Diploma in Sales/ Marketing/Business Ad. with Graduation/ Diploma or Degree in Engineering/ Degree in Fine Art/Comm. Art / Graduation Degree, PG Diploma in Book Publishing/ Mass Communication/Journalism from a recognized Board / University / Institute. Aspirants belonging OBC Category need to submit application fee of Rs. 250/-. Candidates belonging to PWD/Ex-S/Woman categories are exempted from payment of application fee. Appliers’s maximum age limits should not be above 40 Years (For Post 1), 35 Years (For Post 2,3), 30 Years (For Post 4,5), 27 Years (For Post 6,7). Selected Candidates will receive salary of Rs. 15600 – 39100/- plus Grade Pay of Rs. 5400/6600/-(Post 1-3), Rs. 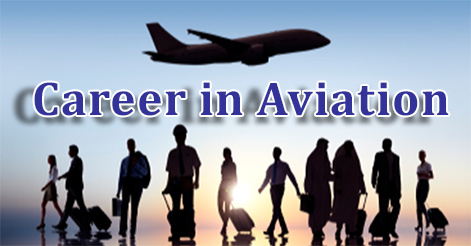 9300 – 34800/- plus Grade Pay of Rs. 4200/-(Post 4), Rs. 5200 – 20200/- plus Grade Pay of Rs. 2400/2800/-(Post 5-7). and other benefits as per NCERT Policies Circulars. Eligible contestants who fulfill the all term and conditions of eligibility must read all the instructions and information given on the notification cautiously and download the application format from official website of organization i.e. www.ncert.nic.in. Application Forms : Within 30 Days.